A visit to the vets is not always a welcome experience for a pet or animal owner. An animals instincts rely a lot on their owner and what they are feeling and conveying to their pet. It is obvious the animal has no special regard for particular characteristics of a space and its interior design, so for this purpose it is crucial to focus on the owner. Here we take a look at some distinguished ideas for veterinary practices and present ideas that would be comforting for pet owners and visitors. 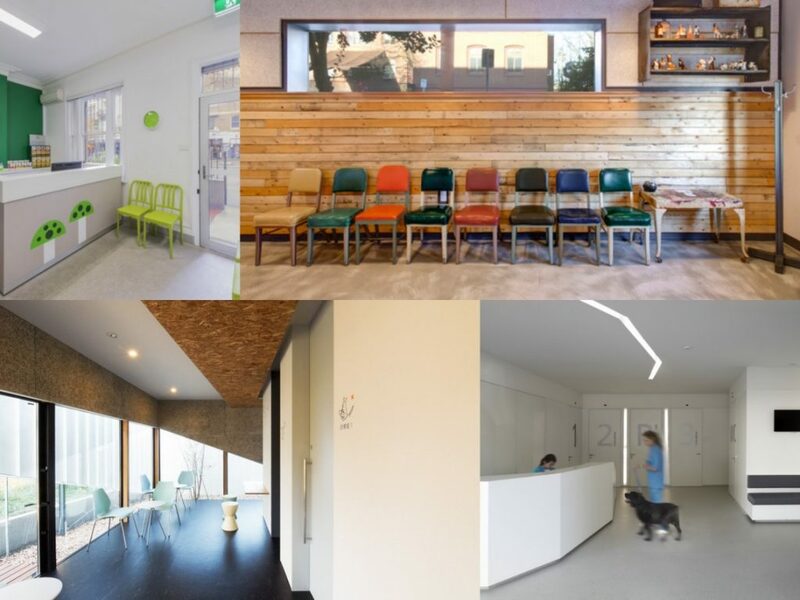 The featured projects come from around the globe and highlight how varied and imaginative veterinary practice design can be. 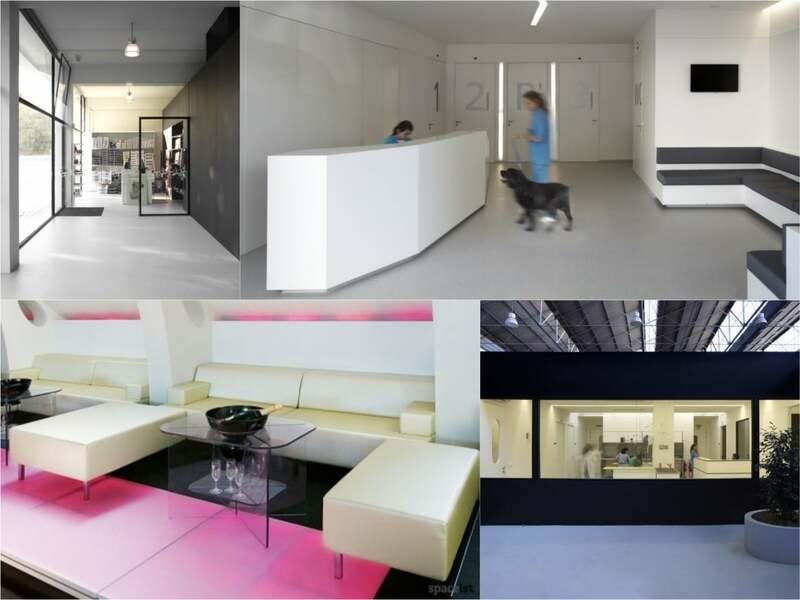 Using simple design elements, the interiors of this Victorian characterised interior have been converted to create a modern veterinary. The colour palette has been kept minimal along with the furnishings. The selection of white as a base and various shades of green add a nature-inspired feel, with a playful twist. Painted patterns and a modest design gives this small practice a welcoming and attractive space for owners and their pets to wait. Create modest veterinary reception seating with the Lama chair. A composition of contract grade polypropylene finished with a coating of fibreglass, a smooth and highly durable product is achieved. 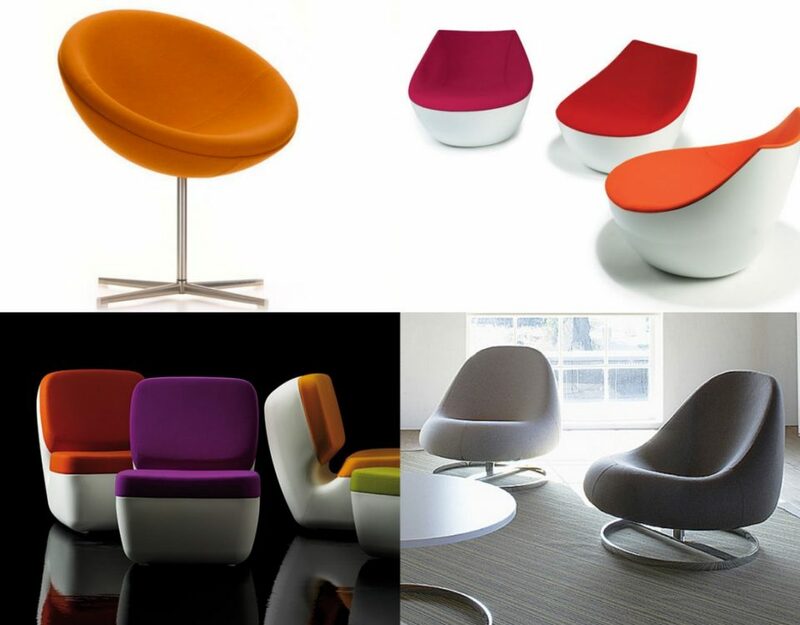 The slightly curved seat and back rest enhance comfort whilst the ribbed design adds a small design feature. Choose from a range of five colours including olive, black or white. 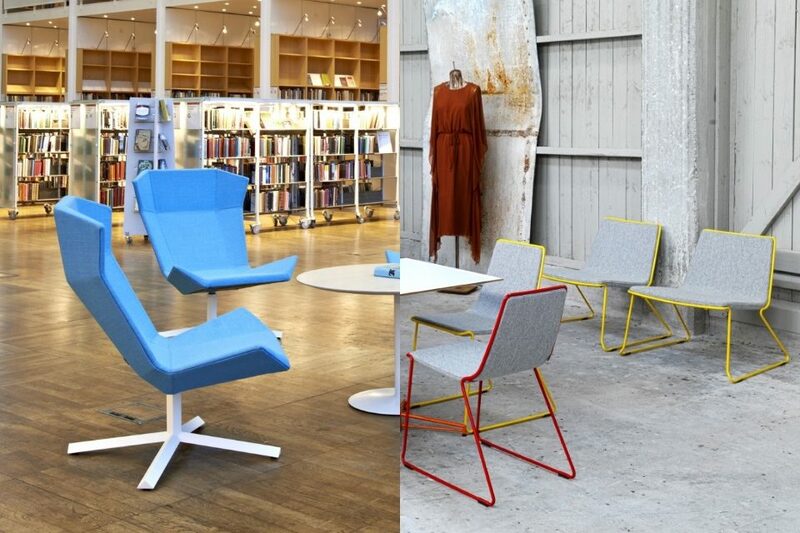 For added storage, the Lama chair can be stacked up to 10 chairs high. This is an all rounded simple and modern option for application within a veterinary reception space. This particular practice takes a break from the norm, presenting an interior theme inspired by the owners’ own ideals of innovation. Rather then a sterile or largely white interior, the space at Urban Animal is a collection of untreated wood, cement and a collection of reclaimed furnishings. The colour palette is earthy, urban and warm. The space takes advantage of the high ceilings by leaving them uncovered to further add to the edgy and urban feel. An added playful feature is a Photo Booth where owners can take pictures with their pets. 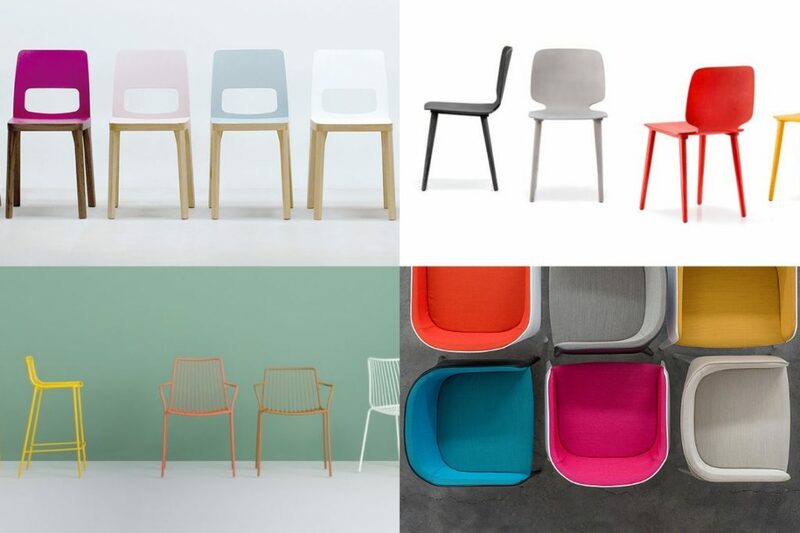 For something a bit different and to create a unique interior, we have selected the highly characteristic Tivoli chair. Made from a solid wood frame, you have the option of choosing from natural ash, black stained or grey stained. 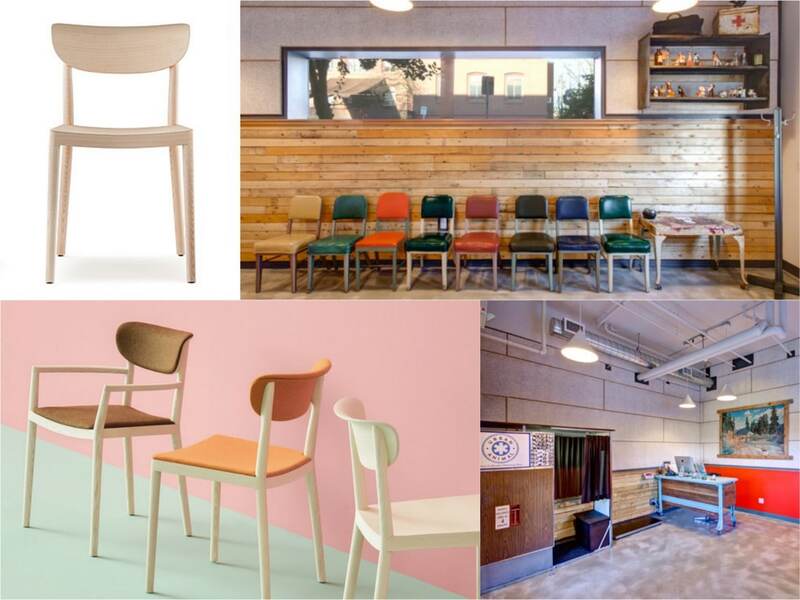 The robust seat and backrest are made from plywood and come with an upholstery option. Note the discreet design features on the Tivoli that add character to the chair; notably the curved seat and backrest that further enhance comfort levels for the user. 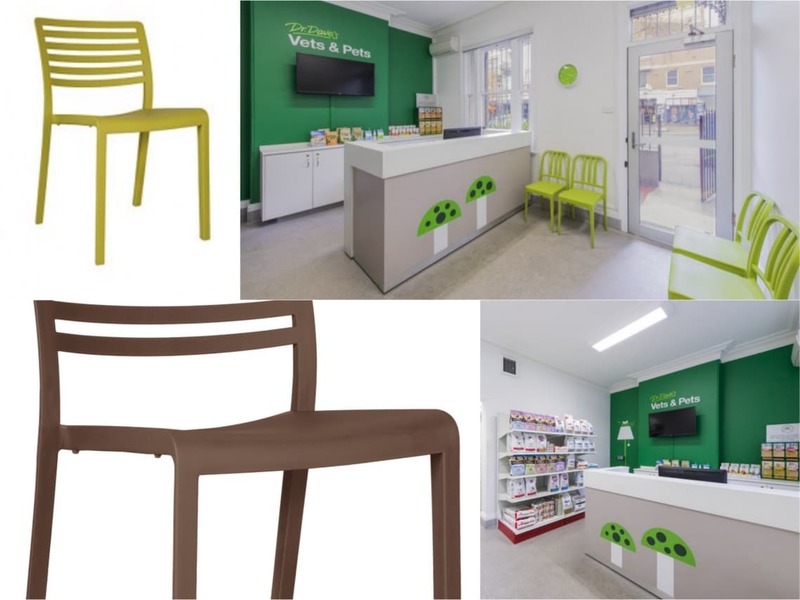 With a range of modern shades to choose from, the upholstered option adds further colour to create that edgy and modern appearance within a veterinary reception space. This stylish little veterinary practice in Kanagawa, Japan is both a surgery on the ground floor and the living quarters of the doctor above. The main surgery space is a significantly simple concept of textures and furniture. Basic natural colours have been achieved from the untreated wooden boards that form the ceiling and partial wall area contrasted against the modest white wash walls and furniture. The simplicity of the space is furthered with the use of practical seating options. 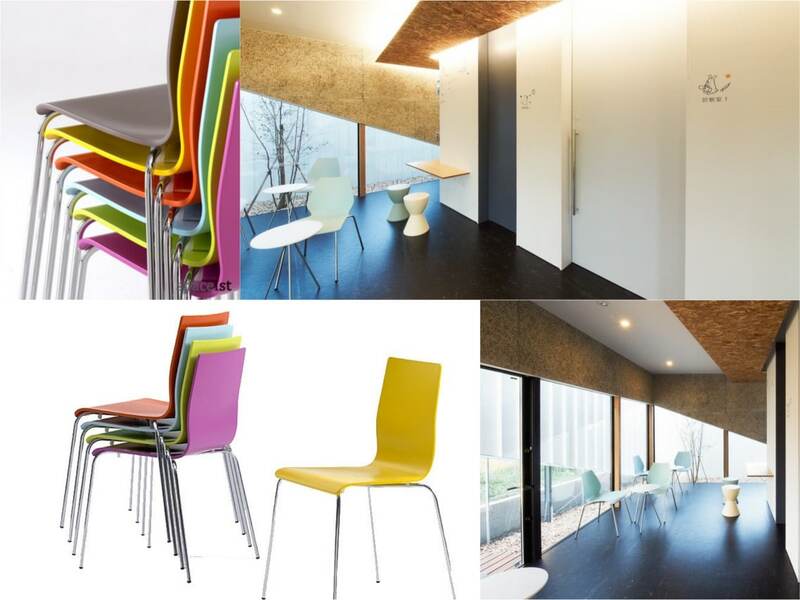 Create a practical and simple space with the versatile Anno chair. One of our most highly functioning and modest items, the Anno chair is a combination of comfort and quality build. 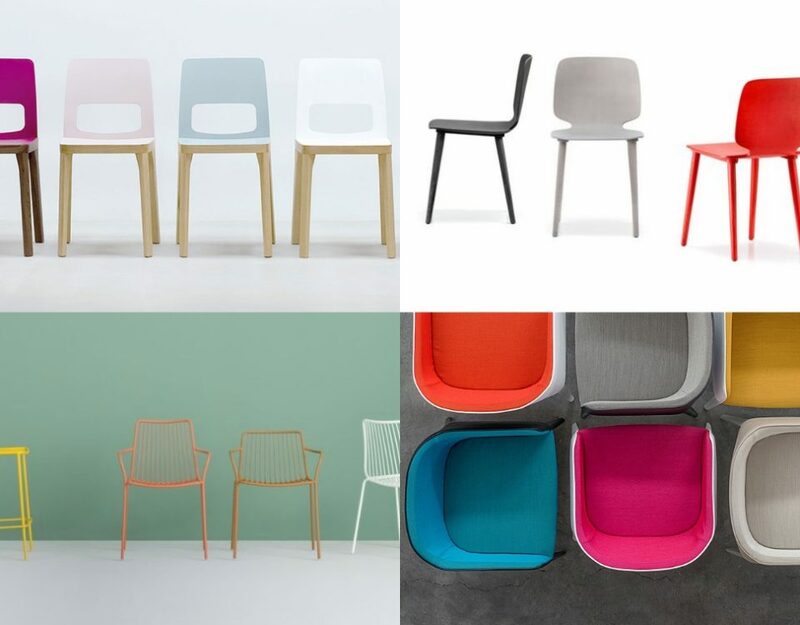 The single shell seat is made from robust plywood and comes in a wide selection of colours to match any interior colour palette. This seat rests on solid chrome tube base legs further enhancing the resilience of the chair for contract application use. The slightly angled legs mean the chair can be stacked for storage or maintenance. This is the optimal choice for creating a simple yet clean appearance. This unique budding inside a warehouse is a result of the necessary hygiene and building requirements based around a veterinarian practice. The designers have taken extra care to keep the spaces highly sterile whilst also providing a functioning area for daily treatments. 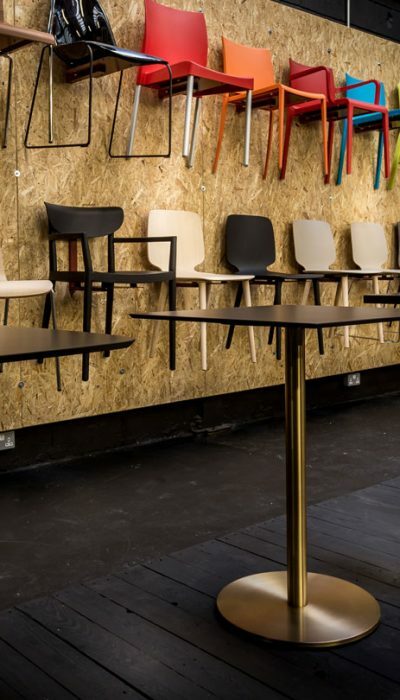 The waiting area is a highly functioning and sterile space featuring booth seating designed in line with the rest of spaces; bold black and white colours and sleek lines. Ideal for especially high sterile spaces is the Modular sofa in a booth option with the vinyl upholstery finishing. This versatile seating option comes in a range of sizes and compositions meaning it can be modified according to the spatial requirements of the room. 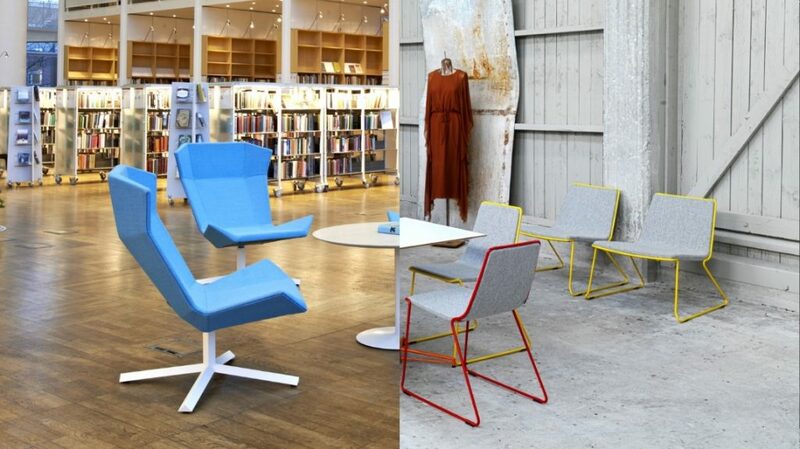 Determine a specific project colour palette by creating the exact colour required for the seating with the unique brand matching option included. 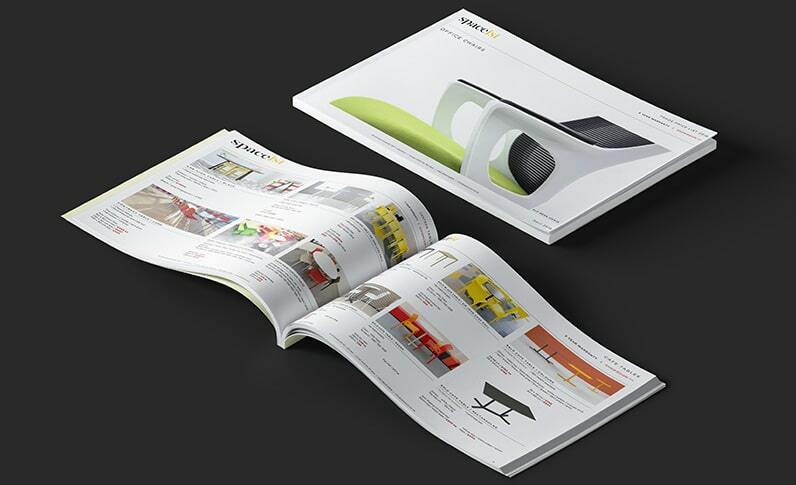 The versatile Modular sofa range is a practical and highly functioning option for medical environments.